This page details Zelda Wiki's upload form. For information on correct procedures before and after uploading, see Help:Images. For a video tutorial regarding uploads, see Uploading and Adding Images. With 30,341 images and sounds at its disposal, files are an essential aspect of Zelda Wiki. All users are encouraged to learn how to upload files so they may expand their editing skills and complement their writing with visual aids and sounds. Proper use of the upload form, as detailed below, ensures that all these files are properly identified and categorized. Pay special attention to Licensing and Source; these fields assure that all files are attributed to their creator and distributor. Before uploading a file, please ensure that you have a place to put it. For guidelines on adding images to articles, see Help:Images. Also, make sure that the file you are uploading meets our quality standards. A file will be deleted if it violates the File Deletion Policy. When uploading an original work such as fan art, you must obtain permission from the author beforehand. If the original work is your own, be advised that by uploading it here you are releasing it under the GNU Free Documentation License. The work may henceforth be copied, distributed, or modified under the terms of this license. An exception to this is fan art – you can retain all rights to your fan art. For more information, see the section on Licensing below. We recommend that you keep a local copy of a file after uploading it. Although unlikely, it is possible that recently uploaded files could be lost due to server issues. Click "Upload file" under the "toolbox" section in the sidebar to the left. Click on "Browse..." (or "Choose File", depending on your browser) and choose an image to upload from your computer. Fill out all the appropriate fields of the upload form, as detailed below. Click the "Show preview" button at the bottom of the page. This will display all the information entered in the form as it will appear on the file's wiki page. Make corrections if necessary. Click the "Upload file" button next to the preview button to complete the upload. Here you may choose the name of the file on the wiki. The default is the source filename (the name of the file on your computer). Initialism — The standard initialism of the game that the image, sound or video is from. If none are applicable, omit this parameter. Description — When applicable, add a few words that describe the specific action or setting. Use objects, present participles, or participle phrases (see the examples below). You can also append numbers to similar files, though it is better to distinguish them with descriptive words when possible. Type — The type of file, such as "artwork", "model", "sprite", etc. Screenshots and photographs don't necessarily need this. File Extension — The suffix indicating the format of the file (e.g. PNG, JPEG, GIF, OGG, etc.). The extension must match that of the source file. For example, you can't upload a .jpeg file and change the extension to .png in the destination filename. The file extension is automatically set to lowercase when you upload the file. Do separate each word with a space. Do not separate words using hypens or CamelCase. It's best to avoid using special characters at all – use the word "and" instead of the ampersand character (&). Describe (in wikitext) the file you're about to upload. You can choose to leave this blank, but it is recommended that you at least write a brief summary. Most Zelda images and sounds on the web are re-distributions of material that belongs to Nintendo or another company. However, significant amounts of time and effort may go into retrieving these files from their respective games. 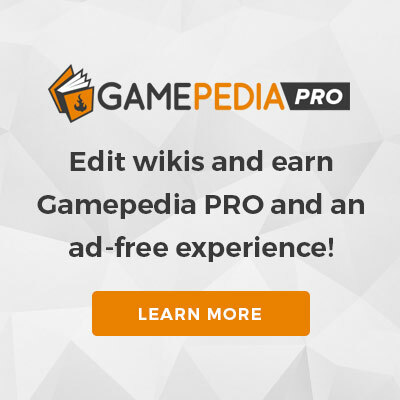 Therefore, users at Zelda Wiki are strongly encouraged to give credit to the person who retrieved the file, even though it is not their copyright. Likewise, when a user retrieves an image for Zelda Wiki, we ask that other sites give the user credit for the work. As for original works, such as fan art, you must obtain permission from the author before uploading. You must attribute original works to their author. If you leave the "source" field blank, it will be assumed that you retrieved the file yourself. It is important to cite your source if this is not the case. If it is the case, you should still attribute the image to yourself (see below) instead of leaving the field blank, so it is clear who deserves credit for the image. This will generate a message saying that you retrieved the image and you should get credit for it. Never claim another person's work as your own. Don't use this template if you obtained the file from elsewhere. If you find a file on the web and upload it to the wiki, copy-paste the website URL into the "source" field before uploading (or at least write the name of the site) along with the name of the author where applicable. When uploading a new version of an existing image, be sure to change the source accordingly by editing the file page. This field is also formatted in wikitext. If you're not already familiar with it, you may want to visit this page for more information on how to add things to this field. With that in mind, it is recommended that you format the external link to show the website's name instead of just pasting the raw URL (see Link Formatting). Uploading images that were made for competing wikis, namely Zeldapedia and Zelda Dungeon Wiki, is discouraged for ethical reasons. This mostly applies to complex images like renders and maps, which can be unique and tend to require more effort. Go the extra mile to obtain these images yourself whenever you can. If you do upload an image from a competitor, be sure to cite your source. Don't hide it, they deserve to be credited for their work. Images from Wikipedia and other Wikimedia Foundation sites are accepted, as long as the proper license is selected. A comma-separated list of the image's depictions, in alphabetical order. The "Game" dropdown allows you to select what game the file is from. The mainstream Zelda titles are listed first in order of their release, with the spin-offs and other Zelda-related games available further down. If the file belongs to more than one game, as is often the case with Oracle of Seasons and Oracle of Ages, Ocarina of Time and Majora's Mask, and Phantom Hourglass and Spirit Tracks, choose one of the options under "Combinations". If the file is Zelda-related but does not come from one game in particular, choose the first option, "The Legend of Zelda Series". If the file doesn't apply to any game at all, leave the field blank. This field allows files to be categorized by type. If you're uncertain as to which type the file belongs to, please leave this field blank. It is easier to add types to uncategorized files than it is to find improperly categorized ones. Official artwork from Nintendo. Common sources for official artwork include instruction booklets, official sites (such as the Nintendo Press Room) or official guides. This category is for official artwork only. If you find an image on a Zelda fansite, try to ascertain an official source for the image so as to make sure it's not fan art. A render is a 2D image generated from a 3D model. It includes enemies, characters, objects, and bosses from 3D games. They are usually obtained by removing the background from in-game screenshots (see video tutorial Path Rendering). As a general rule, any image that is from a 3D game and has no background is considered a render, except for icons—which are sprites—and, of course, artwork. Sometimes, renders such as these can easily be mistaken for artwork if they come directly from an official source like Nintendo. Be aware of the difference between official artwork and official renders. Images that depict dungeons or overworld locations. Includes in-game maps, such as the one seen on the left, and those found in official guides. In 2D games, it is possible to assemble the game's many "screens" into one image, like so. These images are also considered maps. Images of published material. Includes all box art, scans of instruction manuals, guides, manga and comics, and other books, including cover art. Artwork scanned from a book should not be categorized as printed media, but as artwork. This also applies to maps. An image taken directly from gameplay. If the screenshot is from a 3D game and you intend to put it up for background removal, you can instead mark the image as a render ahead of time. Sprite A sprite is a two-dimensional image or animation integrated into a larger scene. It includes enemies, bosses, characters, and objects from 2D games as well the icons on the menus and the HUD in 3D games. As a general rule, any image that is directly from a 2D game and has no background is considered a sprite. Texture Textures are two-dimensional images applied to surfaces of three dimensional objects. As such, they are exclusive to 3D games. For example, the first texture on the left is used for a sign in the Kokiri Shop in Ocarina of Time 3D. The second image is the original seal over The Imprisoned in Skyward Sword. This texture is applied to the ground in the Sealed Grounds. Textures are obtained using an advanced technique called "ripping". Of the main image types, textures are the rarest. Images representing organizations or their products or services. Includes game logos, company logos (e .g. the Nintendo logo), website logos, etc. Not to be confused with other symbols (see below). Any miscellaneous photo. Only categorize an image by this type if it does not belong to any other. For example, self-photographs intended for use on one's user page should be labeled as a personal image instead. A photograph of a book should be categorized as printed media. Merchandise Images representing The Legend of Zelda-related merchandise. These include figurines, plushies, accessories, clothing and apparel, tabletop games and trading cards. (Zelda-related) Representations of in-game symbols, such as the Hylian Crest and Hylian letters. Wiki Symbol Miscellaneous symbols that are not necessarily Zelda-related but have a use on the wiki. These include copyright symbols, check marks, arrows, etc. Symbols represent ideas, actions, beliefs, and material entities. Symbols representing companies, products or services should be marked as logos instead. Most logos are symbols, but not all symbols are logos. If the image you are uploading is only intended for your userpage, and will not have a use on the wiki itself, please tag it as a personal image regardless of what type it may be. Zelda Wiki claims use of these files to be "fair use," given that we are a non-profit organization and are using them for educational purposes only. Used for any file in the public domain. A work constitutes public domain if the author releases it as such, or if the work's copyright has expired. Some images are also ineligible for copyright. Images that consist of simple text or geometric shapes, such as certain logos, may automatically be public domain. The Copyright and Public Domain symbols to the left are examples of this kind of image. The Nintendo logo is another example – but it is also trademarked. For these images, use the second public domain option, titled Too simple for copyright. Copyleft is a form of copyright where an author reserves some rights to their work, but allows it to be freely distributed and modified, as long as any modified versions remain freely available and are released under the same license as the original work. Original content at Zelda Wiki is released GNU Documentation License (GFDL). Therefore, any original work that you upload to the wiki, except fan art, is automatically covered by this license. By uploading your work to the wiki, you are releasing it under the GFDL. The work may henceforth be copied, distributed, and/or modified under the terms of said license. Many images on Wikipedia, Wikimedia Commons, and other constituent sites of the Wikimedia, as well as many other wikis, are licensed under the GNU Free Documentation License (example). This license should be selected for these images. Used for derivative works. Includes any unofficial, fan-made art depicting content related to Zelda or another work of fiction. This category includes heavily modified versions of official images (example) and images from fan-made games, which themselves are derivative works. Fan art should always be tagged as such, regardless of its copyright status. Fan art does not usually constitute "fair use" on this wiki. If the image was created by someone other than the uploading person, and the creator claimed some copyrights rights, then obtain proof of permission from the creator before uploading! Failure to obtain the permission first is copyright violation and will result in the image being marked for deletion. The Creative Commons Attribution-ShareAlike is another copyleft license that is increasingly popular among wikis. Images tagged with this will be licensed under the latest version (currently 3.0). Only use this license for works that have been exclusively licensed under the CC-BY-SA version 2.0 or later (example). Use the GFDL license instead when possible (many Wikipedia images are dual-licensed). Creative Commons Attribution-NonCommercial-ShareAlike. Similar to the above license, but with the additional condition that the licensed work may not be used for commercial purposes. Many NIWA wikis use this license; its principal use on this wiki is for screenshots of these websites (example). If you're unsure as to an image's copyright status, you may opt out of selecting a license. When doing so, please make sure to cite the image's source so that a more experienced editor may determine the correct license. Be advised that unlicensed images may be deleted if its copyright status cannot be found, or if its use here is believed to be violating copyright law. Important: Copyleft licenses (either GFDL or Creative Commons) require that the author of the work be attributed. Please make sure to always cite the author alongside the file's source. Failure to do so constitutes copyright violation. In addition, the two CC licenses (BY-SA and BY-NC-SA) are not compatible with one another. You cannot license a BY-SA file under the BY-NC-SA license, or vice-versa. Zelda Wiki identifies its files using the FileInfo template. Its fields are automatically filled according to the upload form. After uploading, the fields can be changed at any time by editing the file page. Uploading may take a few moments depending on the size of the image and the speed of your upstream Internet connection. You will not be able to upload any image larger than 20 megabytes (MB) and/or 15 megapixels (MP). Wait a few moments and let the database catch up and update the image. This can take anywhere from a few seconds to several minutes. Bypass your browser's cache to see the changes. For Mozilla / Firefox / Safari: hold Shift while clicking Reload, or press either Ctrl-F5 or Ctrl-R (Command-R on a Macintosh); Konqueror: click Reload or press F5; Opera: clear the cache in Tools → Preferences; Internet Explorer: hold Ctrl while clicking Refresh, or press Ctrl-F5. Please avoid adding a gallery of all your uploads to your userpage. It makes file maintenance more difficult for administrators should any of the images in your gallery need to be deleted.